According to our Catholic faith, Holy Matrimony is the covenant by which a man and a woman establish between themselves a partnership of the whole of life and which is ordered by it's nature to the good of the spouses and the procreation and education of offspring. Baptized spouses enter this Sacrament freely and with clear understanding that they will try to live their married lives after the manner of Christ's love for us. It is unconditional love, sacrificial in it's own right and until the death of one spouse. Not only is Holy Matrimony a legal relationship but a deeply spiritual one, one that is desired by the couple when they come to be married in the Catholic Church. Diocesan regulations require all couples planning marriage to contact the priest or deacon at least nine months prior to the desired date of the marriage. Preparation for marriage at St. Mary's requires several meetings with the priest or deacon, several sessions with a mentor couple from the parish, attendance at a diocesan seminar entitled "God's Plan for a Joy-filled Marriage" and any additional preparation that the priest may deem necessary. As an alternative to the diocesan seminar and sessions with a mentor couple, the engaged couple may choose to attend a weekend-long "Engaged Encounter" Retreat. Please speak to the priest about your preference. Weddings at Saint Mary’s are usually celebrated on Saturdays, but may also be scheduled at other times at the discretion of the pastor. No Saturday weddings can be scheduled later than 2:00 p.m. You must contact the pastor to discuss the availability of potential wedding dates BEFORE booking your reception site. 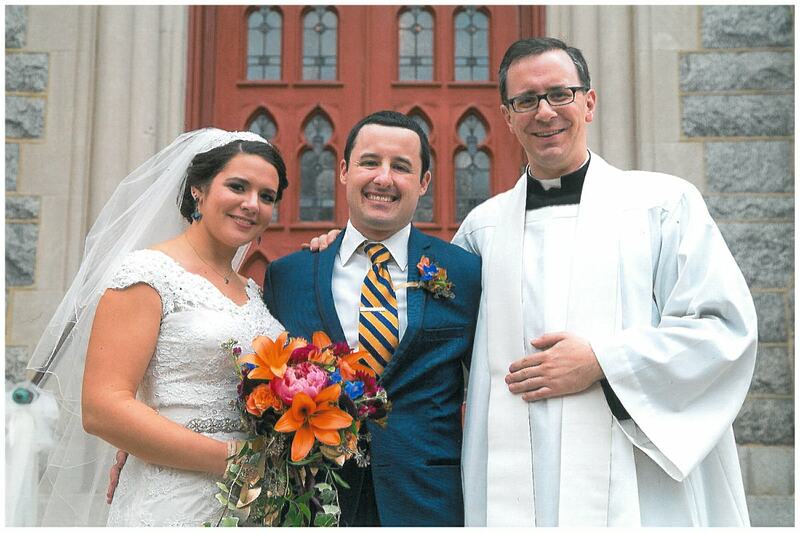 Parishioners of St. Mary's are given preference when scheduling weddings. Non-parishioners may only marry at St. Mary's under special circumstances and must discuss their circumstances with both their home parish pastor(s) and the pastor of St. Mary's before being allowed to schedule their wedding at St. Mary's Church. Non-parishioners may not schedule a wedding more than 1 year in advance. At your first meeting with the priest or deacon, you will be given a booklet which outlines all of our wedding guidelines and is designed to answer all the questions connected to having your wedding at St. Mary's Church. Please be sure to consult this booklet before and during the course of your wedding preparations.